We were on the plane on the way to Trinidad. I was strolling through my phone when Renee sent me a picture of the twins. I missed them so much. I showed it to Daveed and he smiled. I rested my head on his shoulder. He kissed my forehead. "I love you." He said. I didn&apos;t say anything. I just thought. Thought about Darren and when he hurt me. But then I remembered, Daveed is not Darren. I smiled. "I love you too." Our plane finally landed. I remembered everything about the night I left. I packed my bags with my eyes filled with tears, not even sure what I was stuffing in my bag. "Were are you going?" Sage asked walking in my room. "Somewhere I won&apos;t be compered to you!" I shouted. "Oh don&apos;t be ridiculous. Where are yo going to go?" She asked. "Somewhere! As long as you are not there." I said pushing past her. "Are you really upset about what Nana said?" She said. That was it. I had reach my braking point. "Of course I am upset! According to everyone, I will never be as good as Sage Peterman. The only reason people tolerate me is because we have the same face! I am tired living in your shadow! I hate being known as Sage&apos;s Twin sister. I want to be known as Ivy Peterman." I said. I shut the door and walked to the airport. "Daveed, maybe this was a mistake." I said stopping at the taxi.
" I am just not ready to face everyone." I said. We got in the taxi. "why? What is going on?" "I just… I am not ready Daveed." "Just tell me what is really going on, please. I want to be here for you." He said looking at me. I looked at him in his eyes. I loved his eyes. They made my insides melt. "The reason I left Trinidad was because I was always compered to Sage. I hated it. It made me hate her. My Nana really gave me a hard time about it. Sh said I was soft. I just couldn&apos;t take it anymore. I had to get away. That is how I ended up in New York." He pulled me into a hug. "You are an amazing girl. No matter what anyone says. And come on let&apos;s be honest, Sage is nothing compared to you right now." I laughed at him. We reached our hotel and got a rental car. "So where are we going first?" He asked as we got into the rental car. "I want to go see my Nana." I said. "Yes let&apos;s go." I said. We pulled up to a really nice house. I could tell Ivy&apos;s family was rich. We go out of the car and Ivy knocked on the door. A elderly woman opened the door. "Oh Ivy! I missed you!" She said hugging her. "Come, come inside." She said ushering us inside. "Nana, there is someone I want you to meet. 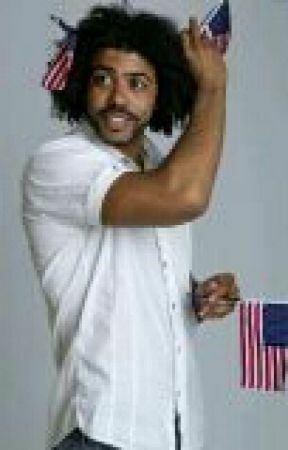 This is my husband, Daveed." She said. "Your married! I thought I would never see the day!" She said. "How are you son, I am Ivy&apos;s Grandmother." She said to me. Herr accent was really heavy. "I am great. Nice to meet you." I said. "Ivy, come child, tell me how you have been." She said pulling us to the living room. There was at least 50 pictures in there. "I had twins in December." She said showing her a picture of the twins. "Oh they are absolutely adorable! So how long have you to been married?" She asked. I noticed Ivy shifted in her seat. "Umm only a couple of weeks." She said very low. I was a little confused. Her grandmother crossed her arms and raised her eyebrow. "So you had this twins before you were married." She asked. Ivy didn&apos;t respond, she didn&apos;t even look up. "I swear it&apos;s like I taught you nothing!" She said. She turned her attention to me. "You took advantage of my granddaughter?" She asked me. "No he didn&apos;t Nana." Ivy said. "I always knew you would be the one to mess up! You know better than this Ivy! Why can&apos;t you be more like Sage! She could have waited until marriage, why couldn&apos;t you?" She shouted. "BECAUSE I AM NOT SAGE!" Ivy shouted with her tears rolling down her face. "I thought after 5 years you would have changed, but I was wrong. Call me when you are ready to stop judging me." Ivy said. She grabbed my hand and pulled me out of the house and into the car. She sat and cried. I hugged. "I am sorry babe. I should have never asked you to come here." I said wiping her tears. "It is not your fault." She said. I kissed her forehead. She smiled at me and kissed my lips. I loved her kisses. "Can we go home now." She asked.
" you mean the hotel?" I asked. "No, I mean home, like New York. I miss my babies." She said.